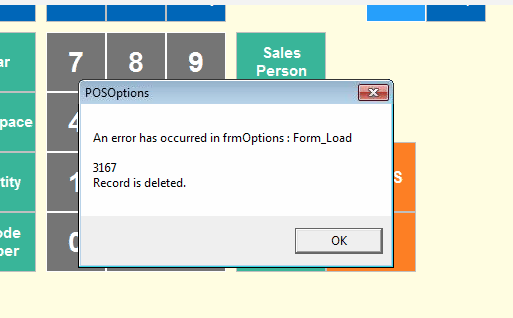 I’m getting an error, “An error has occurred in frmOptions : Form_Load 3167 Record is deleted” when Opening the Option menu in POS terminal. How can I fix it? Please compact and repair the database to fix the issue. Close all your POS Terminals. If the above fix do not resolve the issue, it is possible that your Point of sale database may be corrupt. Please restore your previous backup file.